Fish Oils and Omegas are polyunsaturated fats that the body can't make and is essential since it's used in almost every process in the body. For this reason, it's one of the most popular dietary supplements on the market. Omega-3 fatty acids come from fish and plant sources. Supplements generally extract omega-3 fish oils from herring, tuna, anchovies and mackerel but it's also found in salmon and shrimp. These animal sources contain eicosapentaenoic acid (EPA) and docosahexaenoic acid (DHA) and omega-3s from plant sources including fruits, vegetables, beans, nuts and seeds contain alpha-linolenic acid (ALA) which converts into EPA and DHA in the body. Omega-3s are essential in the formation of cell membranes and fighting inflammation because it improves circulation and oxygenation of the body. Omega-3 fatty acids promote cardiovascular health, eye health and supports brain cell function to lower levels of depression and mood disorders. 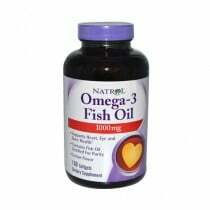 There is a wide selection of omega-3 supplements from plant or fish oil as well as a combination of the two. Vegetarian Omega-3 softgels contain no fish oil or animal gelatin. This is important to individuals on a vegetarian or vegan diet. Products such as Spectrum Essential Vegetarian DHA use only plant-based omega-3 fatty acids. Fish Oil Omega-3 softgels contain both DHA and EPA. Super Fisol Fish Oil uses only sustainable harvested cold water fish containing 70 percent omega-3s. It's also tested for heavy metals and other impurities. It doesn't have the negative side effects of consuming uncoated fish oil products that leave a fish after taste. Krill Oil Omega-3 is from pure Antarctic krill, a crustacean rich in omega-3 fatty acids. It's said to absorb better into the body's cells than plant and fish oil. There's no fishy smell or taste. Fish and Plant-Based Flax Oil Omega-3 has the best from both worlds. Rainbow Light has a combination of omega-3s from both fish and organic flax seed oil with natural lemon added for taste. One softgel serving is equivalent to two fish servings.